Seller is very motivated! Bring an offer! 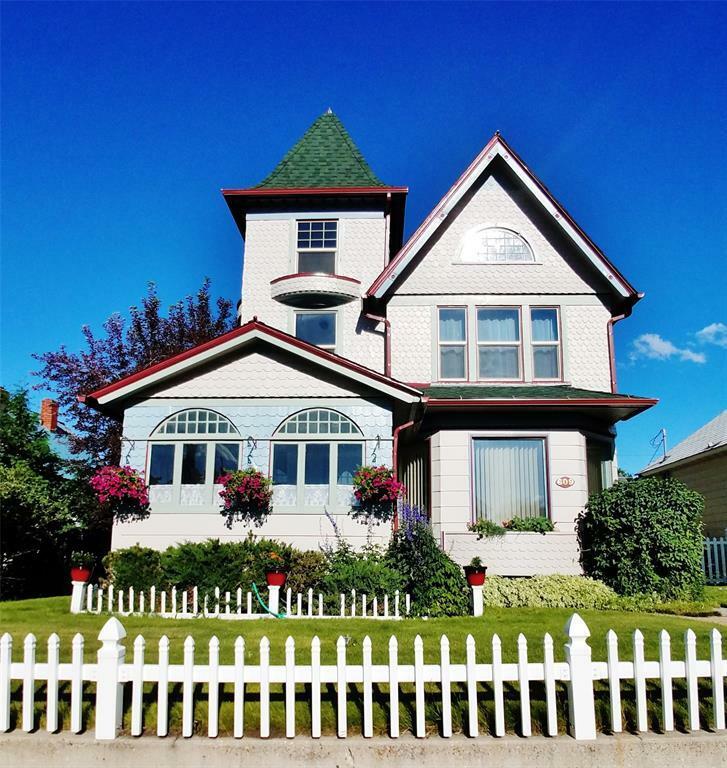 The exterior of this beautiful Victorian 3-story is enchanting thanks to striking color combinations on the siding and trim, as well as the steep and varied roof and dormer windows. The interior has had numerous updates such as carpet, windows, appliances, wiring, etc. The ground floor contains a living room with a wood fireplace, a parlor, kitchen, half bath, and formal dining room. The 2nd floor has 3 bedrooms and a nursery along with a full bathroom. The third floor has a master bedroom with bath, and the turret room makes a 2nd bedroom. The asymmetrical design, combined with the curved eyebrow windows, make this 3rd floor the most unique of all. Landscaped yard and white picket fence complete the charming look of yesteryear. Plenty of room to build a garage. Any reasonable offer will be considered.